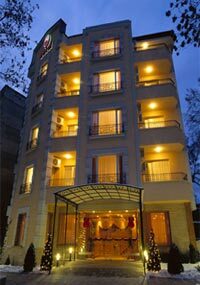 Hotels in Sofia - Meg Hotel in Sofia. Sofia hotels - Meg hotel. Book Meg Hotel in Sofia. 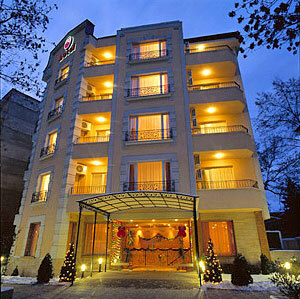 Location: Meg hotel is situated in the very heart of Sofia. 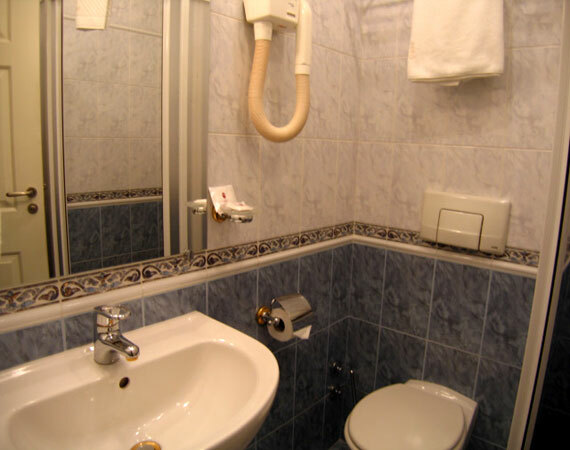 It is in the close proximity to the National Palace of Culture, where almost of the cultural events are organized and to the shopping area of the Vitosha Blvd. It is situated in a walking distance from all governmental institutions, banks, cultural and historical sites. The airport is only 15 minutes away by car. Dining: For your gourmet taste will take care an attractive Lozenetz restaurant. 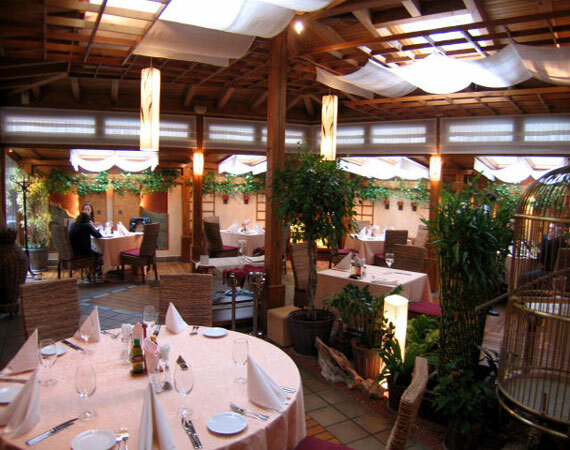 In the middle of the floral decorations, the sophisticated and romantic atmosphere, excellent service and extremely tasty specialties you will be felt absolutely satisfied! 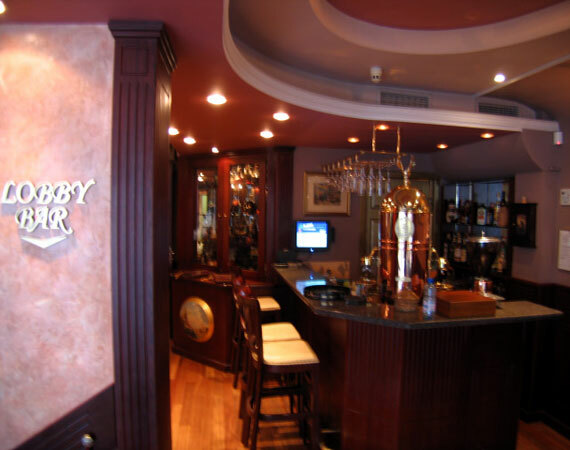 The restaurant has 70 seats and offers all necessary facilities for your business appointments, small private parties, seminars and cocktails. 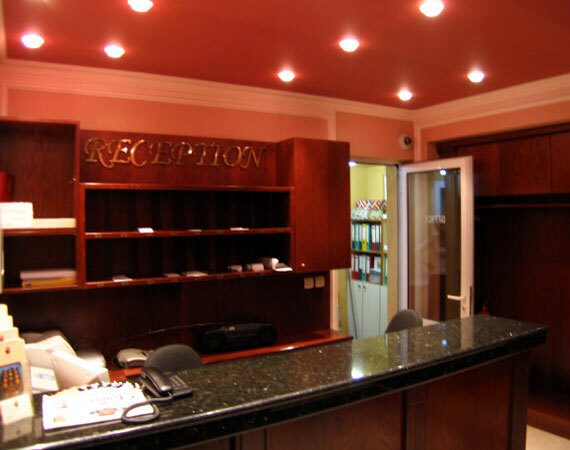 Hotel Facilities: dry cleaning, laundry, ironing, taxi services, excursions, rent-a-car, room service until midnight, transfers from and to airport, etc. 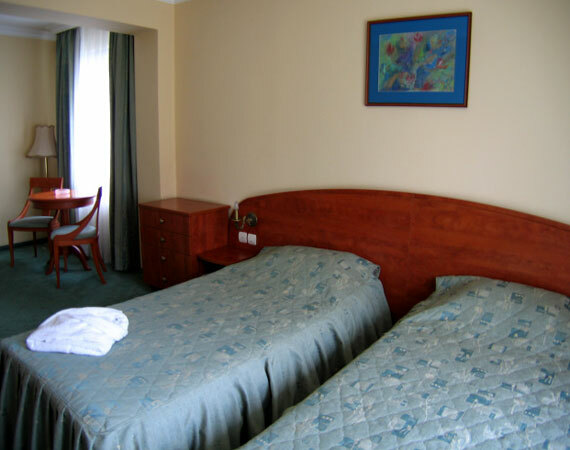 Accommodation: The hotel has 16 luxury furnished double and triple rooms and 1 apartment. Each one impress with an unique style and comfort. 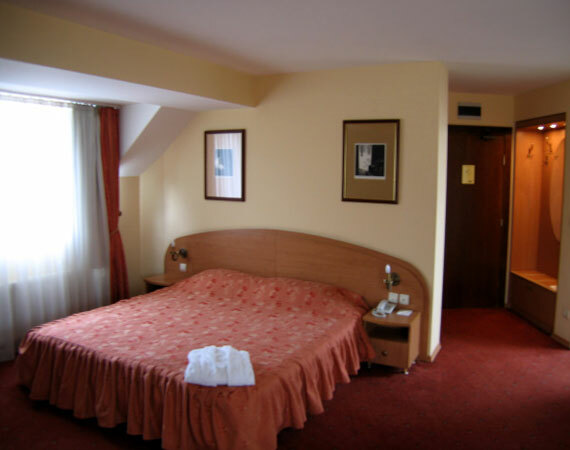 From the hotel balcony you can enjoy the splendid Vitosha Mountain view or view to the downtown. All the rooms are air-conditioned, with central heating, all regulated by you. At the guests disposal are: mini bar, satellite TV, direct phone line, Internet access. All the rooms are soundproofed. 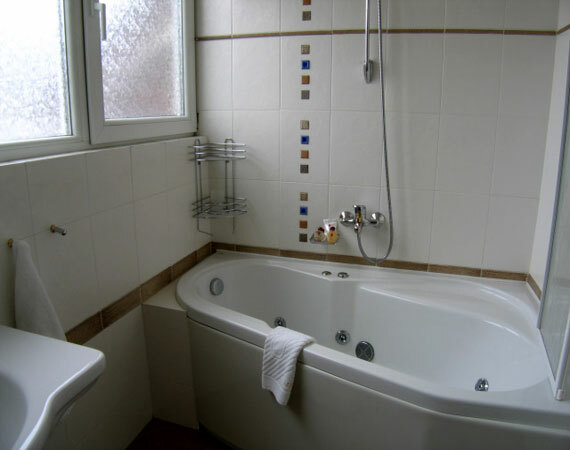 The luxury bathrooms are supplied with bathtub or wash cabin, a hair dryer, adaptor and all necessary you to feel relaxed after stressed day. * Please note that all guests of Meg Hotel made reservation through this web site use for free Internet access.